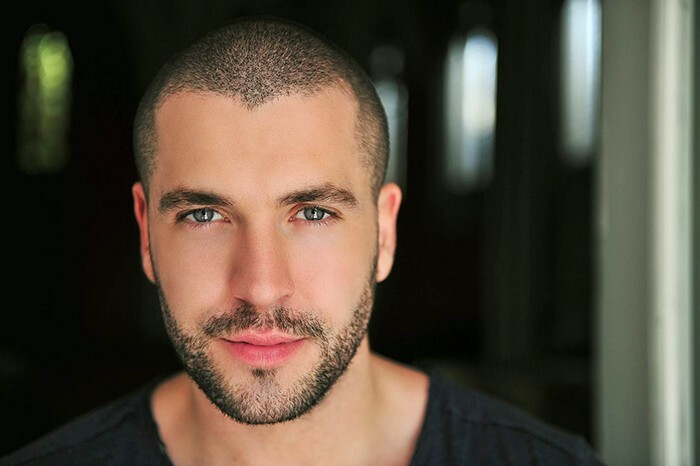 Once hailed as the UK’s answer to Justin Timberlake, Salford boy Shayne Ward has been a busy chappie since his debut single That’s My Goal hit the ‘back of the net’ shooting straight to the top of the charts in 2005. As the winner of the X Factor, his success continued, paving the way for three further albums including Breathless, which scooped sales of over three million globally. Not bad for a lad who began singing in local working mens’ clubs. McFadden as The Sung Thoughts of the Journalist and Joseph Whelan as The Voice of Humanity. I caught up with Shayne at his home in Derbyshire, and was immediately bowled over by his enthusiasm for the new project. Shayne’s character in the show, it turns out, is bonkers. After his squadron was wiped out by the Martians on Horsell Common, he goes slightly mad and thinks London can be rebuilt in the drains below. Sounds like he’s going to be busy! “He actually believes in what he says but unfortunately he’s just full of alcohol. Like all of us when we’ve had a bit to drink we get over confident,” Shayne laughs. “He’s a soldier that has survived being killed by the Martians and their machines. He crosses paths twice with Liam Neeson who plays The Journalist and tries to convince him that they can get an army together and capture a fighting machine and defeat the Martians, after which he plans to build a whole new world. Over the years the role of The Artilleryman has been played by many famous folk including Jason Donovan. Shayne readily admits that the show has a geeky following. “They’re real die-hard fans,” he says. I’m curious to discover if Shayne believes if there is another life form out there. stage, but now the slap is off and the hair short once again. As a blond for a while did he have more fun? Born to Irish traveller parents, Shayne has six siblings. One of them is his twin sister Emma, who can also sing. “She sounds like Eva Cassidy. She’s got a lovely voice. Growing up in our house was chaos,” he laughs. It’s evident that Shayne is a firm family man. His long-term relationship with actress Faye McKeever ended recently, but he has every intention of having a family in the future. I’m sure he’ll have no problem finding a partner but for now his focus lies firmly on his career. When I ask Shayne if he would like to perform with the other famous Irish duo, Jedward I receive a resounding ‘No’. Fair play. Shayne’s army of Twitter and Facebook followers is two million. Well, come to mention it Shayne, I wouldn’t mind you turning up with a loaf and Northern Life in hand, but if you really want to go that extra mile a bar of chocolate wouldn’t go amiss! I know, I’m pushing my luck, but you can’t blame a girl (middle-aged one at that!) for trying. Now he’s into a stage hit, does he consider himself an actor or still foremost a singer? “With both genres you’re telling a story and you have to make the fans believe it. You have to engage with your fans. Well, it’s plain to see that Shayne won. ‘Breathless’, he isn’t. But I am.